The multi-pain relieving power of Advil, plus a gentle, non-habit forming sleep aid. 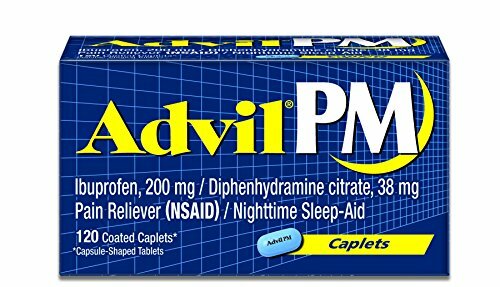 When pain keeps you awake, Advil PM’s patented bi-layer formula is designed to help you fall asleep faster and stay asleep longer, for hours of restful sleep*. It is the leader among OTC nighttime pain relievers. The pain reliever in Advil is ibuprofen, a non-steroidal anti-inflammatory drug (NSAID) that when taken as directed is a safe and effective pain reliever and fever reducer. * Compared to placebo or no treatment.